Step 1 – Start seeing a dietitian. Step 2 – Write down what I eat. 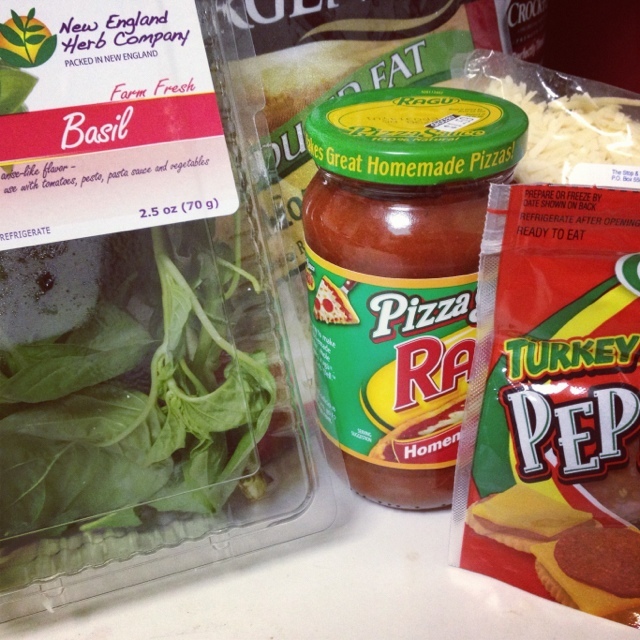 Step 4 – Plan my meals for the week. Another one of my takeaways is to try to come up with our dinner menus on the weekends. Brett and I often find ourselves wandering the grocery store after work and opting for some bad meal choices. This way, we plan in advance and have everything on hand for later in the week. Here is one of the first recipes we tried and it is a WINNER! I’ve heard of the rumors of this one for a little while now but was reluctant to try it. Really? A pizza that doesn’t use dough for a crust, but instead uses cauliflower. So, it’s low carb and veggie friendly? Yup! Mix together the cauliflower, egg and mozzarella in a bowl. Stir in oregano, crushed garlic and garlic salt. Place the mixture on the cookie sheet and pat it out until you get about a 9 to 10-inch round crust. Make sure it’s relatively the same level throughout – otherwise some areas could cook faster and you might have some burned spots. Now, you’re going to prebake this in the preheated over for about 15 minutes. Pictured above: Sauteeing the mushrooms while the pizza crust is in the oven. 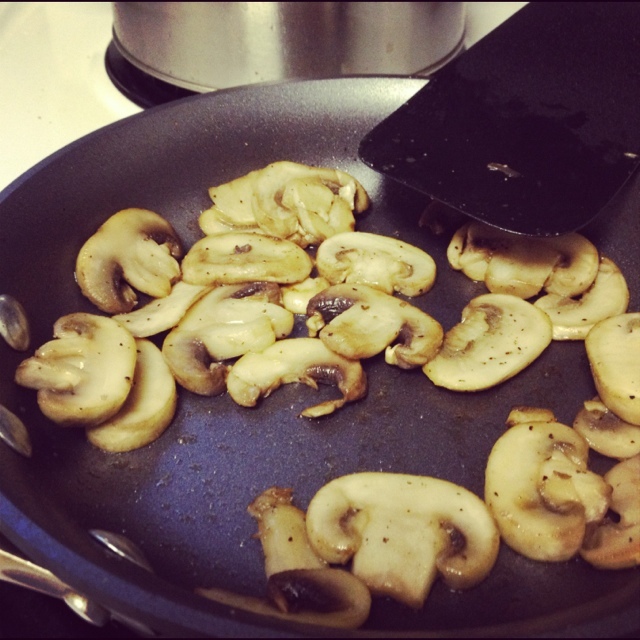 I took about a cup of freshly sliced mushrooms, some olive oil and fresh cracked pepper until they were just soft enough. Place under a broiler at high heat until the cheese is melted, bubbly and just browned. It will only need about 3 to 4 minutes so don’t go too far away. 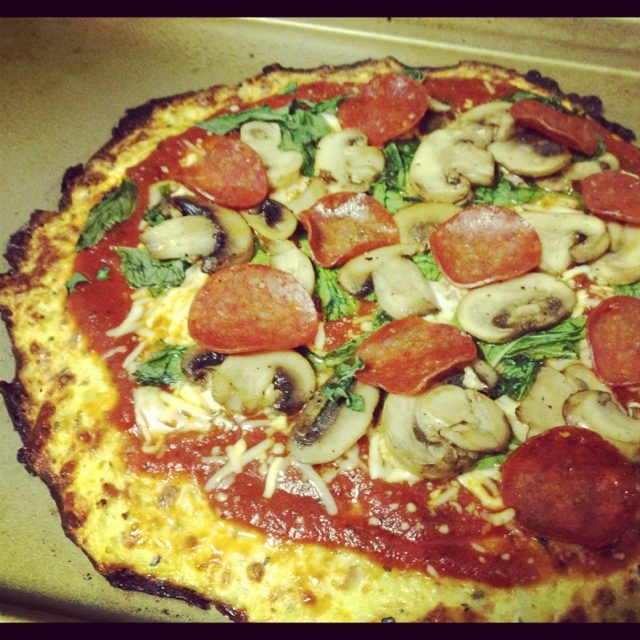 This entry was posted in Cuisine - Italian, Dieting, Recipes and tagged cauliflower, crust, dieting, low carb, pizza, recipe by Christina. Bookmark the permalink.